De Cocoa Pañyol Blogspot: Spirits & Spice....this looks like a yummy good cause! 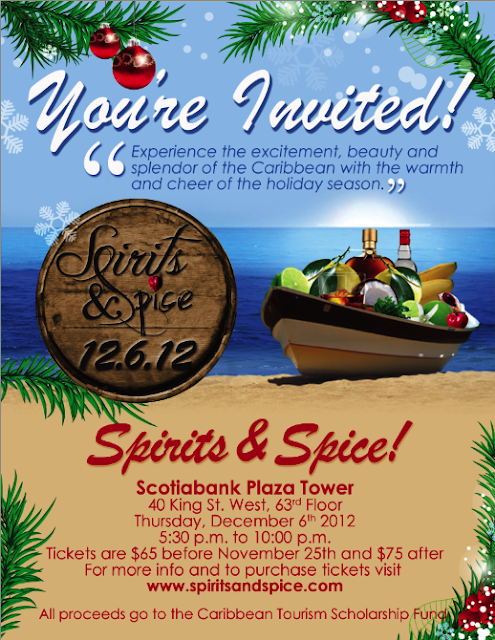 Spirits & Spice....this looks like a yummy good cause! Join us for the blow out event of the season and an important fundraising event for the Caribbean Tourism Scholarship Foundation (see below). Thursday, December 6th, 2012 at the Scotiabank Plaza Tower. Sample the Spirits, Savour the Spice and Win a trip to paradise! About Spirits & Spice! Combining the excitement, beauty and splendor of the Caribbean with the warmth and cheer of the holiday season. Enjoy the pleasant aromas of Caribbean spices, the delectable taste of exotic island cuisine and authentic cultural celebration. 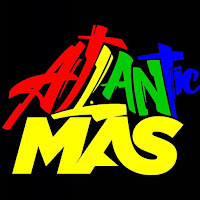 Taste a variety of delicacies representing the Dutch, English, French and Spanish Caribbean; learn more about Caribbean cuisine and customs; dance the night away to the rhythmic beat; mix and mingle with friends, guests and of course, sample from dozens of the world’s finest Caribbean spirits and cocktails. Treat yourself to an all-inclusive experience where the delights of the Caribbean are yours to savour. We look forward to your participation. Doors open at 5:30pm for this mélange of exotic performances, cocktails and culturally-inspired cuisine from our gourmet chefs. Tickets are $65 until November 25th and $75 after. Dress code is Business Casual.